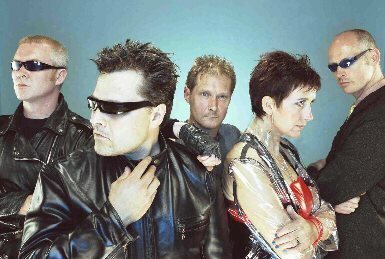 New wave legends The Rezillos are back on tour, prompting writewyattuk to speak to co-founder Eugene Reynolds about 38 years of music, motorbikes and madness. I was too young to catch The Rezillos live the first time around, but my brother and his mates’ interest led to a love of Mission Accomplished…But The Beat Goes On, recorded at Glasgow Apollo two days before Christmas, 1978. It still stands the test of time in this blogger’s eyes, up there with iconic recorded gigs of that era like the Live Stiffs album, Dr. Feelgood’s Stupidity, and breakneck Ramones LP It’s Alive. 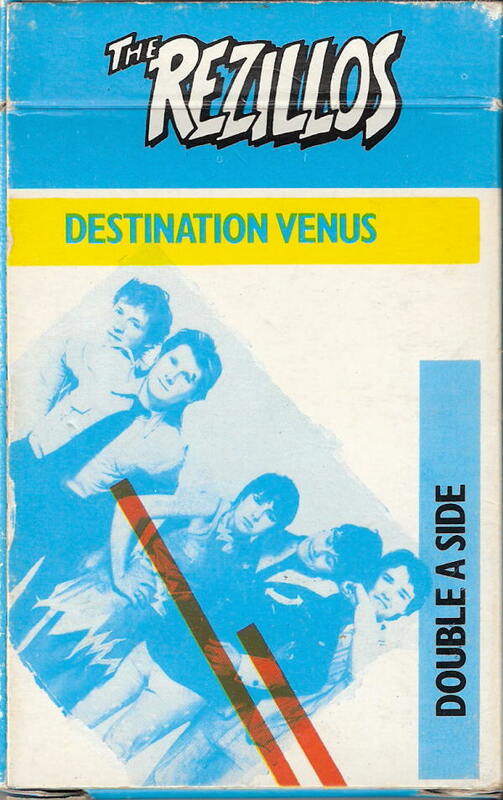 Yet it wasn’t until 1981 – when I was 14 – that I owned my first Rezillos product, and it came in the unlikely form of a ‘cassingle’, a novelty double A-side cassette in a cardboard box, featuring Top of the Pops on one side and the delightful Destination Venus on the other. I had a bit of a thing about cassingles, also buying Tubeway Army’s Are Friends Electric/ Down in the Park and Ramones’ Baby I Love You/Don’t Come Close in the same format. Within a couple of years, my mate Steve had copied Mission Accomplished onto a C90, and it was pretty much worn out by the late ’80s. 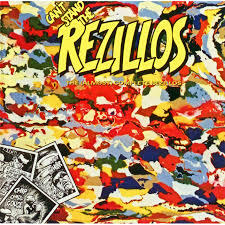 But in recent times I discovered the band’s lone studio album, Can’t Stand The Rezillos had been reissued alongside those live recordings on The (Almost) Complete Rezillos. So once again I got to enjoy the wonders of I Can’t Stand My Baby, (My Baby Does) Good Sculptures, inspired Fleetwood Mac cover Somebody’s Gonna Get Their Head Kicked In Tonight, and much more. Pure adrenaline, classic new wave, as fresh today as the first time around. Incidentally, have you seen any of the weekly Top of the Pops shows the BBC are repeating, from 1978 and 1979, broadcast again 35 years on? There have been some quality moments, not least when Tony Blackburn introduced these energetic Scottish art school punks playing their big hit, the rather ironically-titled Top of the Pops, which reached No. 17. I’ve certainly been tuning in, but while I can’t vouch for the rest of the band, I can reveal that Eugene Reynolds – him of the wraparound specs and gravelly voice – was more likely to be washing his hair than watching that night, as he confided in me. “I’m not really interested in looking at myself. I don’t know anyone in a band who plays their own records. It’s like watching yourself in a mirror all day. Does it worry Eugene (real name Alan Forbes) that some people might think they were one-hit wonders? Because they were about so much more than that. 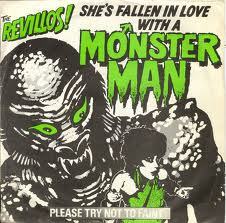 The Rezillos were far from ignorant, as you’ll realise when you see their careers since. 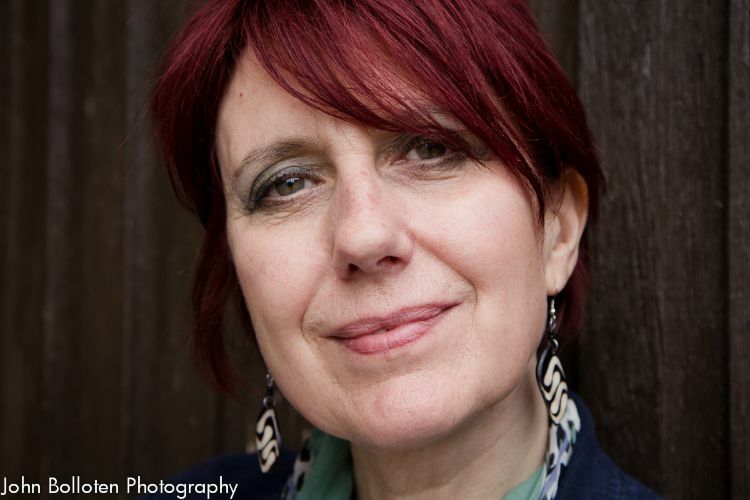 Singer Fay Fife (real name Sheilagh Hynd) took on a post-graduate acting course and appeared in Taggart and The Bill before re-training as a doctor of clinical psychology at the University of Edinburgh. 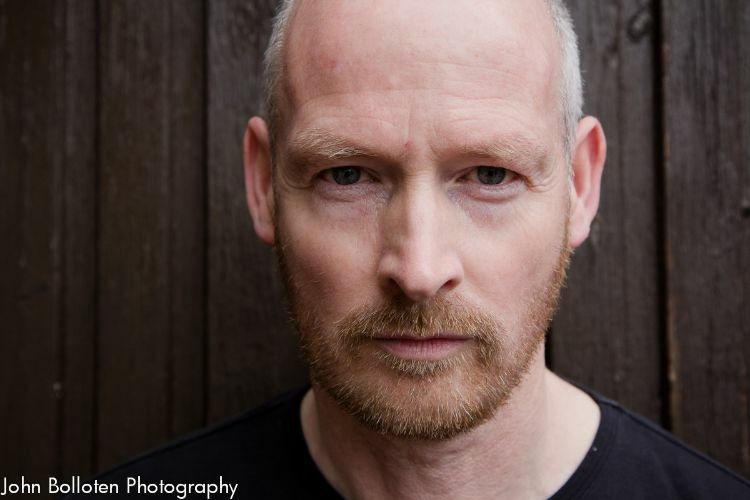 Fellow survivor Alasdair ‘Angel’ Paterson completed an architecture degree before re-settling with his German girlfriend in Bremen, setting up his own practice there. And among past members you’ll find two more architects, a research geologist, and a university lecturer. Eugene had already completed his degree in Edinburgh, studying glass, when he joined forces with guitarist Jo Callis. Quite a bright bunch really. “We all had fireworks going off in our heads. I just can’t stop doing things and everyone is just incredibly diffuse in their interests and all very intense. “One thing feeds off the other and acts as therapy for it. I’ve got 1,001 interests and if I’m not playing music I’ll go off and do something else, then come back to it. One of those other interests was motorbikes, and Eugene has a successful business selling Indian motorcycles these days, having been fascinated ever since seeing them being ridden on a US air base near his family home on the Suffolk/Essex border. He set up an import business that helped pay for his studies, and after original spin-off The Revillos split he registered the name of the Indian brand in the UK and created a new version of the Indian 4. “I’ve flown all over the world looking for antique Indian bikes, pulling them out of swamps, forests or a peat bog where some missionary drove it in back in the 1930s. “Then there are the new bikes we’ve made. Then there are a couple of dozen other interests I’ve got. 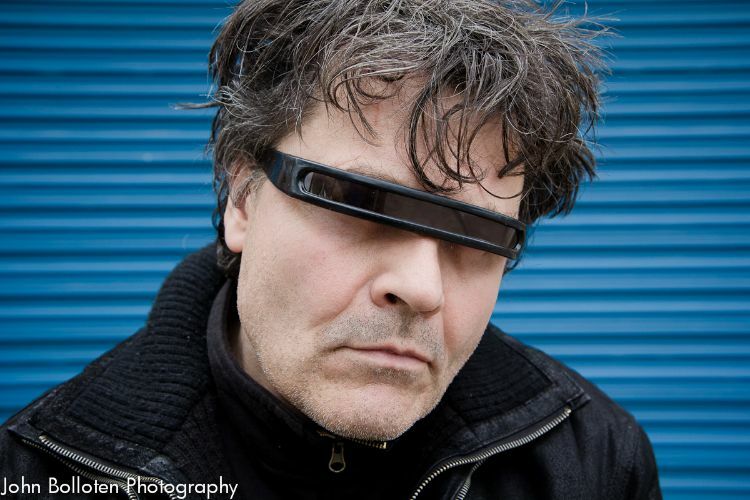 While co-vocalists Eugene and Fay and drummer Angel have other interests, they’re back touring again now with The Rezillos – with Chris Agnew and Jim Brady in tow. And they’re about to release their first studio album since 1978. Is Eugene amazed that people still talk about his band and play their records, 38 years after they formed? I invited Eugene to take a flying saucer ride back to those early days on the Edinburgh scene, when the band formed in 1976. “There wasn’t really a scene, not a punk rock scene. We pre-dated that. “Quite a few bands came on the scene and emulated what they thought punk rock should be, but when you start doing that you’re only going to be a copyist. “By then people had decided what the uniform should be and what music they should like, which was not really what punk was about. 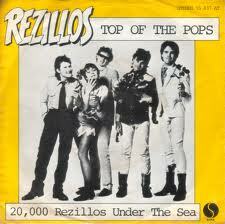 I get the feeling Eugene always saw The Rezillos more ‘new wave’ than punk. “We were signed to an American label, Sire, whose owner, Seymour Stein, was really excited by punk. Eugene was previously in The Knutsford Dominators with Jo Callis. So how did they differ from the band they gave rise to? “We were just a bad rock’n’roll band with attitude. It was just a prototype, and prototypes don’t tend to work very well. “At that time there was a lot of prog rock around, everybody taking themselves very seriously. “We wanted to get back to that more care-free irreverent approach, split it open, start from the middle and work outwards. A bit like Dr. Feelgood did on the r’n’b scene? “Dr. Feelgood were in their golden period then, and something that really solidified in our head, making us think – yeah, this is it! Does Eugene ever get back to East Anglia, where he left at the age of 18? In fact, Eugene stuck around Edinburgh, living on the outskirts these days, with Fay living nearby, in the city. So was it fate that made him choose to study in the Scottish capital? 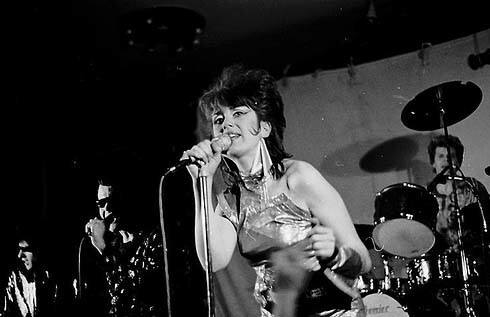 The Rezillos created their own look and sound, using elements like science fiction, B-movies, ’50s rock’n’roll, ’60s beat and garage, and ’70s glam. “It’s like anything in the art world. You absorb what’s going on around you. It was like a melting pot. “We absorbed bits from the Ramones, The Damned, Dr. Feelgood, Roxy Music, The Rolling Stones, blues and soul – anything that fitted into our blend. “There are only so many chords in pop music, only so many words in the English language, only 26 letters in the alphabet. There were also American bands like The B52s and The Cramps who followed in their wake, although perhaps you hear more of a shared sound with The Revillos later. “People can see aspects, but there’s nothing to say a group you influence can’t then influence you. Do you still love science fiction and B movies? “I used to, a long time ago. Now I can’t be bothered. People like to pigeon-hole us and think that’s what we’re all about, but it isn’t. That’s only a slither. To that extent, The Rezillos are now – finally – recording a new studio album, more than 35 years after their debut recording. Despite the original band only making one studio album and a live follow-up, they made a big impact. But amid tensions, main songwriter Jo Callis quit, in time enjoying major success in The Human League, from Dare onwards, with writing credits on several hits, not least Don’t You Want Me. Would Eugene ever have guessed the way Jo’s future would pan out? While Jo formed Shake after quitting, Eugene and Fay continued as The Revillos, leading to a new chapter for the band – albeit with limited commercial success, continuing until 1996, evolving as they went. This was the ’60s revivalist era of Motorbike Beat, She’s Fallen in Love With a Monster Man and Johnny Kidd cover Hungry for Love, a similarly-quirky pop phase perhaps more in tune with The Shangri-Las and the Crypt-Kickers, but still with a large dose of that Dr. Feelgood spirit. It was never an easy journey for the band, with plenty of arguments and creative flashpoints along the way. “But we all got to know each other again soon after. It was purely too much too soon back then. It was the way fame puts too much pressure on you. “It’s all quite easy if you have one strong-headed personality and others happy to go along with that. But our problem was the band was full of strong personalities! That spirit brings me nicely onto the Fleetwood Mac b-side they remoulded into their own – Somebody’s Gonna Get Their Head Kicked In Tonight – covered many times since and even used on the soundtrack of Jackass: The Movie. How had it come to Eugene’s attention? Has that song ever gone the wrong way – creating an unwanted element of menace at gigs? The original members of The Rezillos got back together again in 2001, following an invite to play Edinburgh’s Hogmanay celebrations. And they’ve not really stopped since, although Jo left again in 2010. Has Eugene ever tried tallying up the amount of people who have featured in the band over the years? I note how Eugene glides between his given name, Alan, and his stage monicker, asking if he has a split personality. The story goes that Eugene Reynolds was someone he met while working one summer. “Jo always maintains we met someone by that name and I said that would be a great stage name, but I don’t remember that. “I wanted to call myself Eugene Creem, which is how I started out, with brilliantined hair done like a Teddy boy. Are you all a lot easier to get on with now? While Fay and Eugene, who both have families, meet socially off the stage these days, they only tend to see Alisdair when he flies over from Germany for gigs. “Every time we do a show he has to fly over, which is expensive sometimes. He has children and lives on some fancy farm out there. “He has his tower, as I call it, but then he jumps on a plane and there he is, with his drumsticks. Getting back to families, Eugene tells me Fay has a son, while he has daughters aged 15 and 10. “Her son plays guitar. My eldest daughter plays saxophone. In fact, I was relaxing the other day while she was playing Rhapsody in Blue, which sounded fantastic to my ears. Is this a New Generation Rezillos in the making? “Well yes, when we’ve got our whicker chairs, We can send the next generation out on tour. Do either of you do ‘good sculptures’ these days? Do they still use the old props like the motorbikes and the dalek in their live shows? “I’ve still got the bikes, and the dalek’s somewhere in the garage. It can be a bit claustrophobic inside though. “Once, I rode through an audience then hit a patch of beer and almost drove into the stage. I think health and safety would have a problem with that. Do they still wear lots of plastic, leather, and lurid colours? “I still wear the wraparound glasses when I feel like it. It depends on the size of the stage. It also depends how we feel. 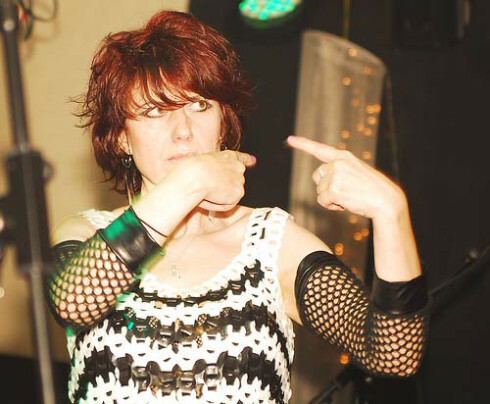 “We did one gig where me, Faye, Alisdair, Jim and Chris all went on in black, like Gene Vincent – wearing black leather jackets, trousers, boots and gloves. So what can we expect if we pop along to see the band on their latest tour? “A set of about 20 songs, lots of old ones plus a few new songs from our forthcoming album. “It’s not like we’re going to be sat there in Val Doonican sweaters, smoking a pipe and playing acoustic guitars on a stool. “The Rezillos were on a rocket booster when the first album was launched, but now we’re onto the second phase, after all this time. 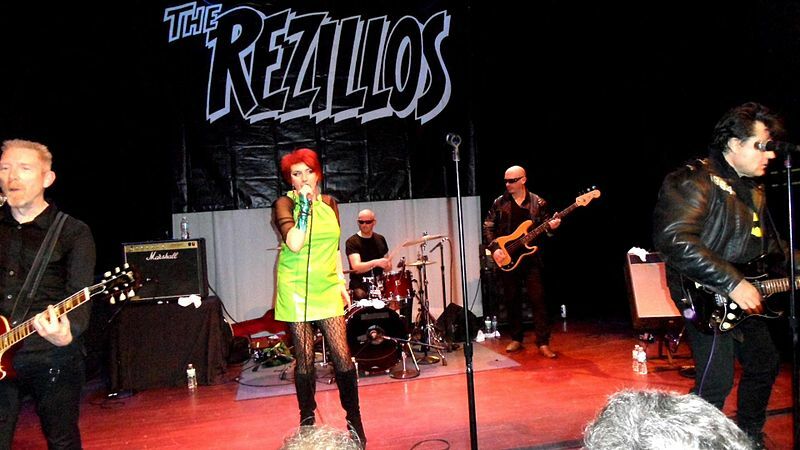 For more details about The Rezillos and their forthcoming dates, head to their official website here. This is a revised and expanded version of a Malcolm Wyatt feature for the Lancashire Evening Post, with a link to the original here. 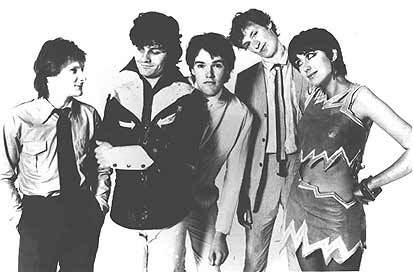 This entry was posted in Music and tagged Angel Paterson, Dr Feelgood, Edinburgh, Eugene Reynolds, Fay Fife, Jo Callis, motorbikes, Revillos, Rezillos, Top of the Pops. Bookmark the permalink.